Maybe the mothers of yesteryear were exaggerating a bit when they said sitting to close to the TV (or watching it in the dark) would ruin our eyes. The real danger is walking around with smartphones in our hands all the time. New research indicates a surprising rate of teenagers and children, some as young as seven years old, developing what’s being called “text neck,” a condition similar to having a hunched back, due to the number of hours spent looking down at devices. Some of his patients fall over during the course of a heel-to-toe test, he told the paper. 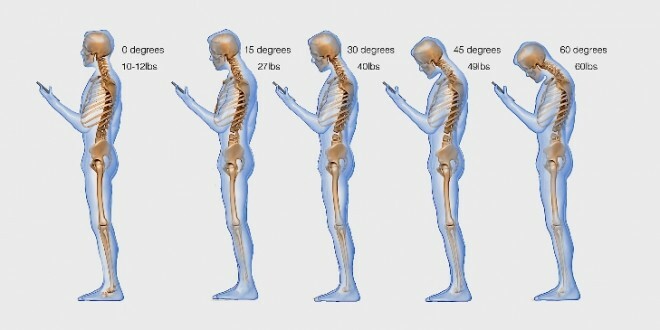 With an average of four hours spent staring at smartphones and tablets daily, some users are looking at 1,400 hours a year with their necks crunch, causing damage that could require surgery to correct. Technically the phones are water-resistant, but c'mon.